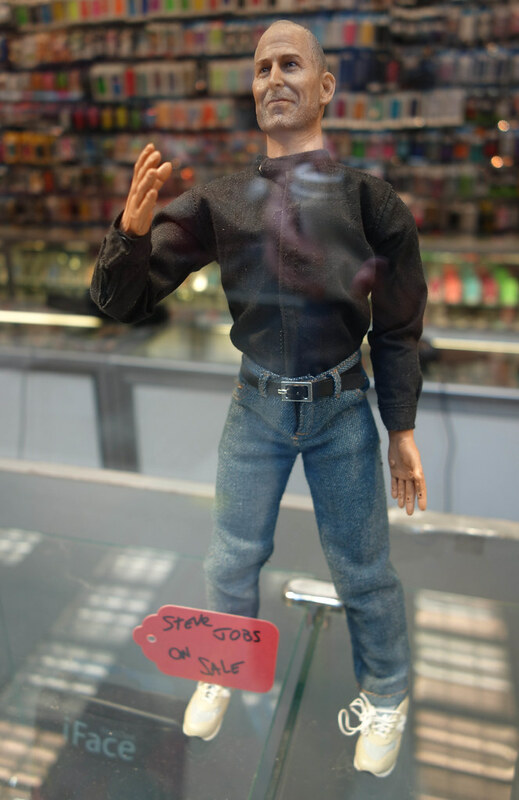 Yesterday in Midtown Manhattan I spotted a miniature, somewhat odd looking Steve Jobs that was for sale in the window of Cellular Express on 38th St at 6th Ave. If you recall previously they featured a tiny Steve Jobs selling iPhones. There wasn’t a retail price listed for Steve Jobs or any mention if he came with “one more thing”.